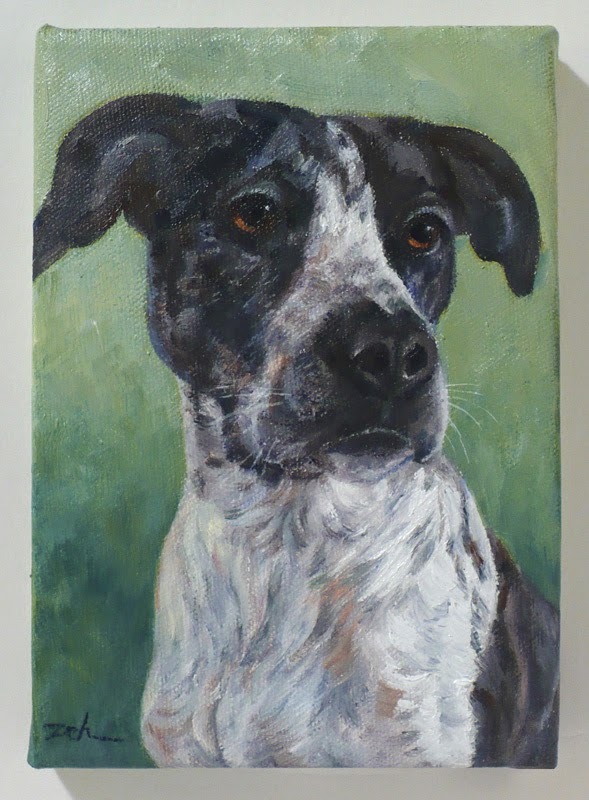 Lila is the second of a series of five oil pet portraits I did for a client who is giving them as gifts to her bridesmaids. They are the bridesmaids dogs - what lovely, thoughtful gifts, aren't they? 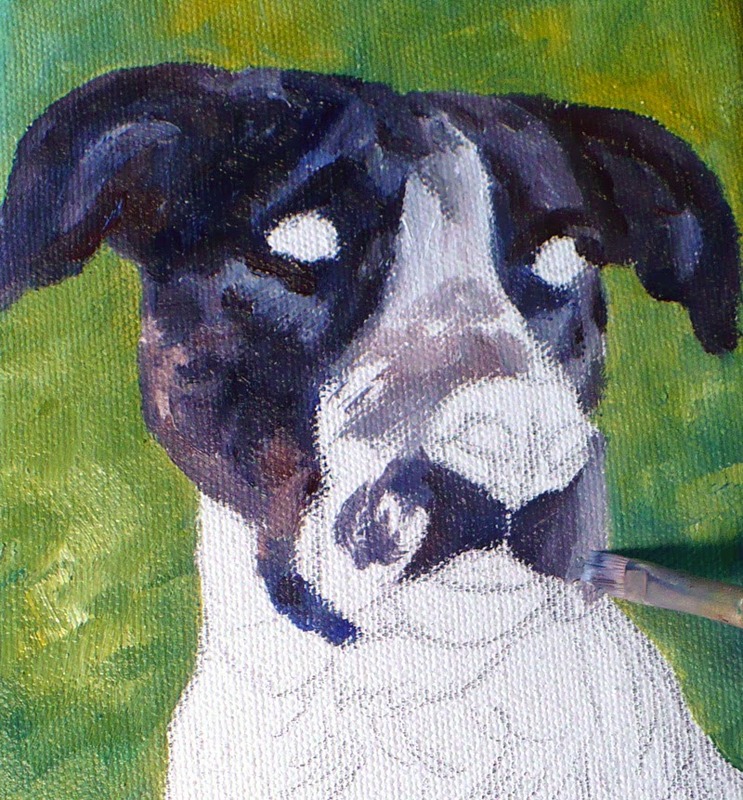 (For the first portrait of George, a Whippet, click here). 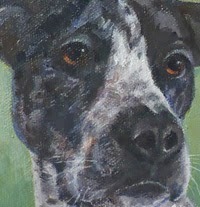 Lila is a sweet dog who was a rescue from the humane society as a puppy. 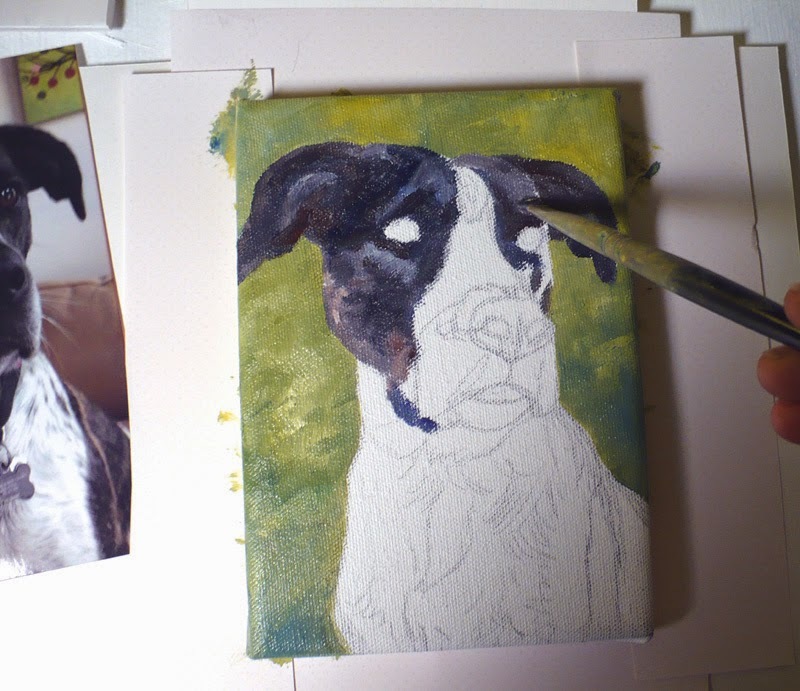 The first thing I do is choose a reference photo, provided by the client, that will work well for the portrait. I focus on this one photo, but use others for guidance to see details or make adjustments. 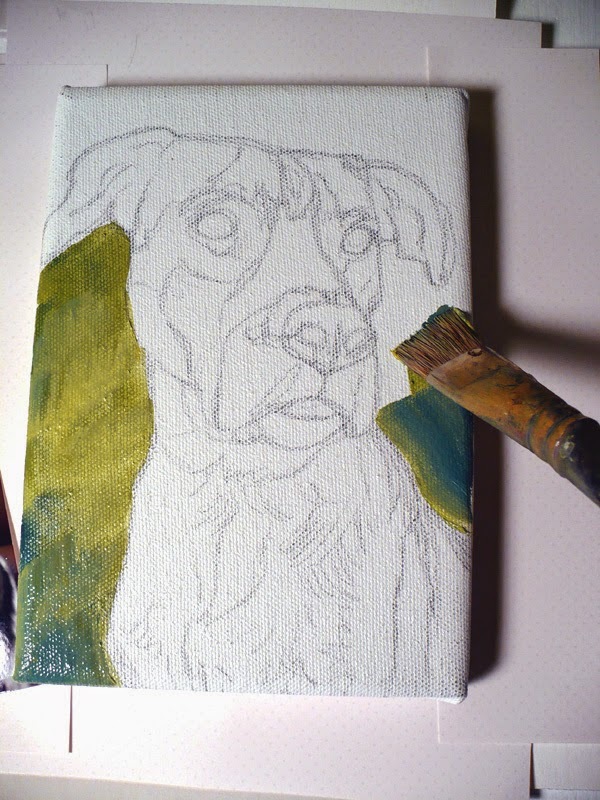 Then I make a careful drawing of the dog's main features and transfer the drawing to a 5x7 inch canvas. 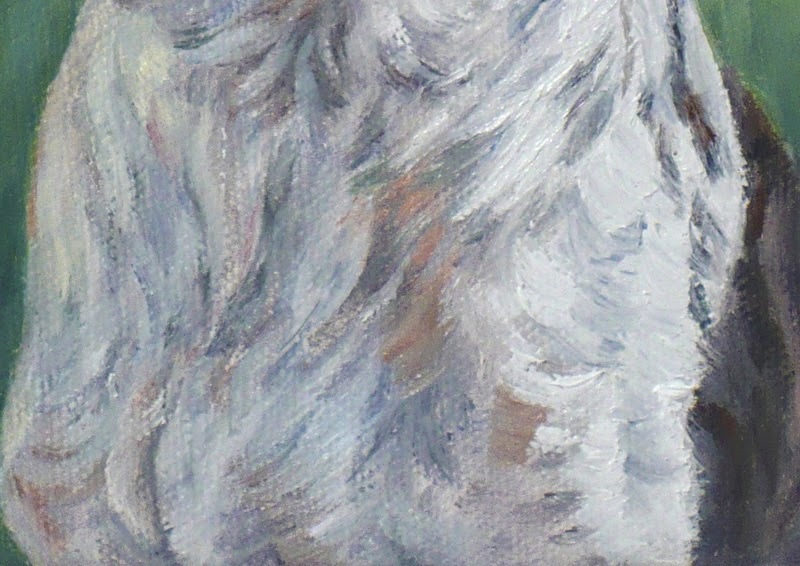 I like to begin paintings with the background so I paint an outdoorsy color with a broad brush. Lila loves to run around outdoors and I think this background will suit her. 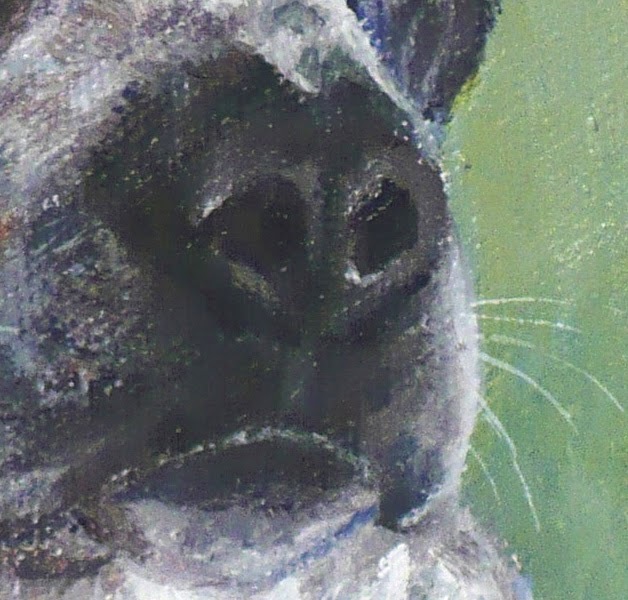 Once the background is painted, I paint the dark areas of her fur adding highlights of light blue or brown depending on what I see in the reference photo (you can see part of it to the left). After spending quite some time with details of the portrait, I lighten the background and adjust the color where needed to make the portrait stand out. Finally Lila is finished! Would you like a special painting done? I'm happy to take custom orders. 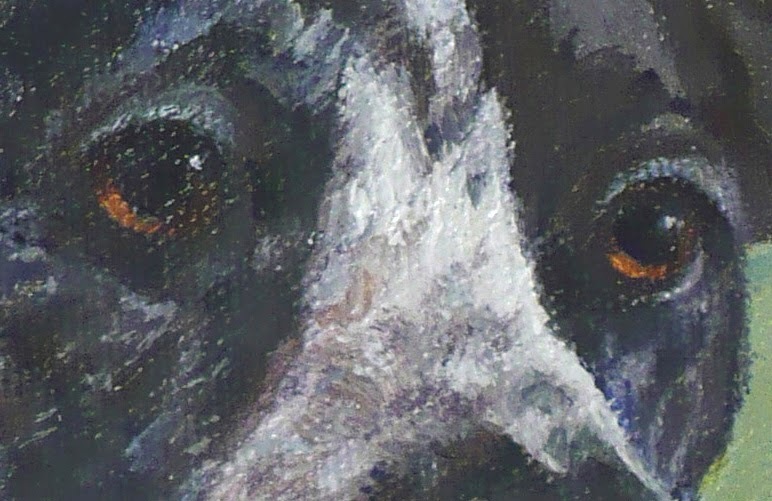 Contact me for a custom painting of your pet, home, garden, grandkids, favorite vacation spot or whatever your heart desires.